We view all of the Hart’s Mill land as an integrated ecological system with opportunities for producing food and materials throughout. 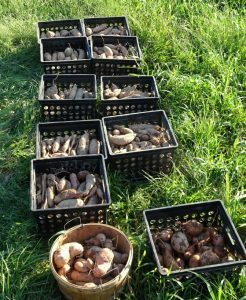 These will range from kitchen gardens to row crops and a greenhouse &/or hoop house, from pastures to orchards, to forest-grown mushrooms & medicinal plants and selective timber harvesting. Even our street trees and buffer landscaping will incorporate food-producing plants. Establish and nurture an integrated agrarian system which sustains and is sustained by the Hart’s Mill community, restores and protects the land, and provides learning experiences. We are currently developing operational and financial plans for the farm and forest with the assistance of knowledgeable professionals who share our values. While the details are not yet available, we can provide a general overview. 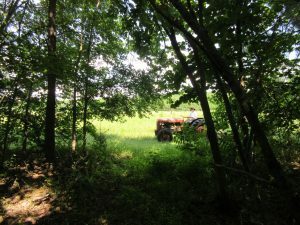 Farm and forest operations will be guided by the Hart’s Mill community, based on adopted principles and practices. 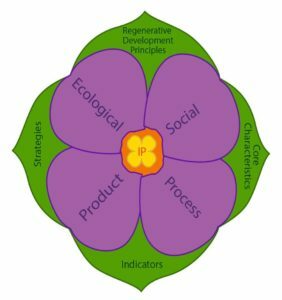 We will use low-impact, sustainable, and restorative best practices drawn from a variety of approaches, as appropriate to our setting. Production will be small-scale, mixed, appropriate to our soil and climate, and based on the carrying capacity of the land. Production will include annual and perennial vegetables and herbs, fruit-producing shrubs and vines, fruit and nut trees, honeybees, forest-grown mushrooms and herbs, and probably also pasture-raised small animals (e.g. chickens, sheep, goats). Specifically excluded will be industrial-scale operations and other activities that could present nuisance or public health concerns, negative traffic/road impacts, or generate excessive air, water, noise or aesthetic pollution. 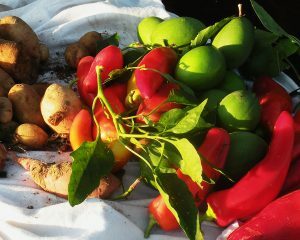 We will not be able to provide all of the food needed by Hart’s Mill residents, but do anticipate producing a significant portion of our own vegetables, fruit, herbs, honey and eggs. Any production for off-site sale will be carefully balanced with the needs of the community for both revenue and food. Hart’s Mill will develop and own all permanent farm infrastructure, such as barns, sheds, wells, permanent fencing, solar panels, etc. In some cases, infrastructure may be built or financed in partnership with others, but Hart’s Mill will retain long-term ownership. 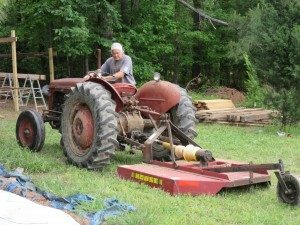 Day-to-day farm management will be handled by one or more full member-residents of Hart’s Mill who have farming experience. It is expected that many residents will be actively involved in the farming and timber maintenance activities, and that we will host interns who will contribute labor. There are a variety of legal and financial models which may be utilized to define these relationships as needed. 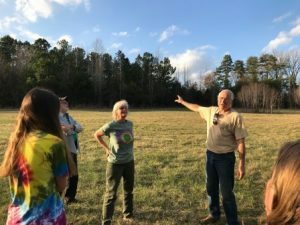 Hart’s Mill is committed to learning, experimentation, and demonstration related to ecological farming and forest systems. To that end, we expect to continuously educate ourselves, test promising new approaches on a small scale, be open to research partnerships, and share our journey in various ways, such as making internship opportunities available, holding small public tours and workshops, and publishing on our website. 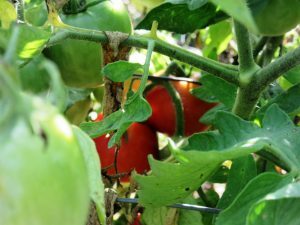 Community Farming Initiative Gets Off the Ground! Far Loop Trail NOW OPEN for Walkers! Sign up to receive new blog posts directly to your email. We usually post about once a week.